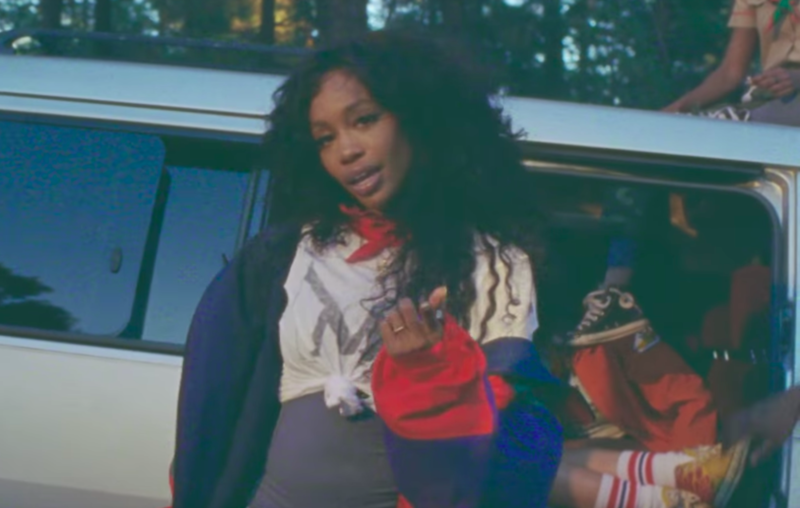 SZA released a new video for her song “Broken Clocks” which brings us back to summer days at camp. In the video, we see the Grammy-nominate singer singing in the room amongst campers sleeping in bunk beds. Carefree campers also enjoy games, running in the woods, campfires and roasting marshmallows and tumbles into the lake. In SZA fashion, she is wearing comfortable outfits: purple sweat pants or shorts, t-shirts, oversized jackets, a bandana and that big curly hair of hers.